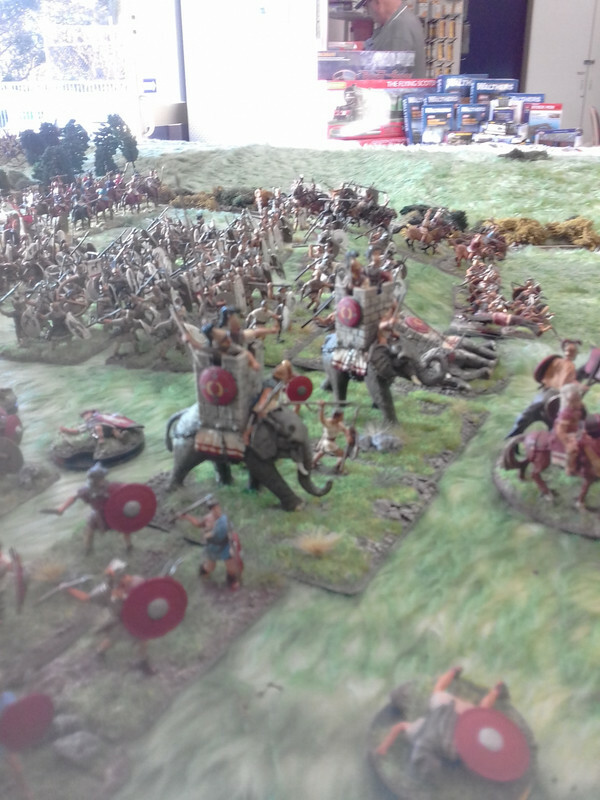 I'd like to share photos from our recent 2 day Punic War game. 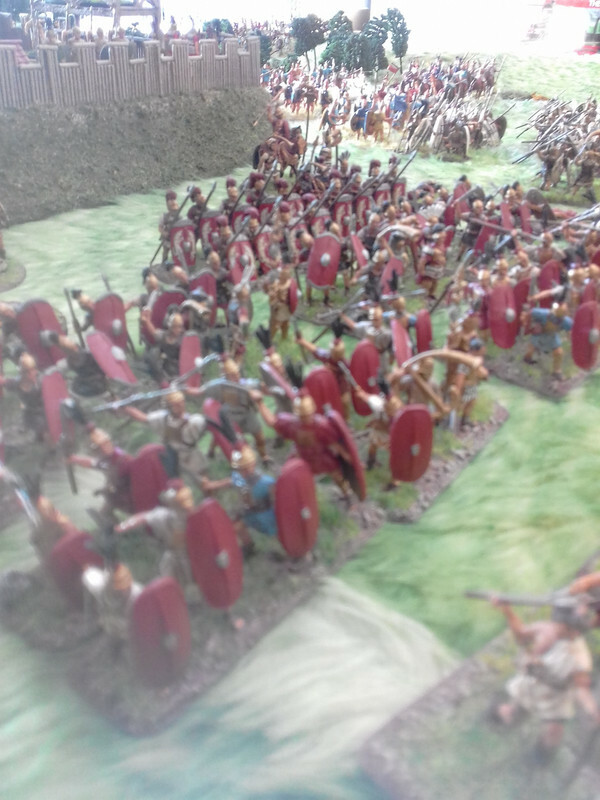 This shows the length of the table with the Romans & their Italian allies occupying the central position. 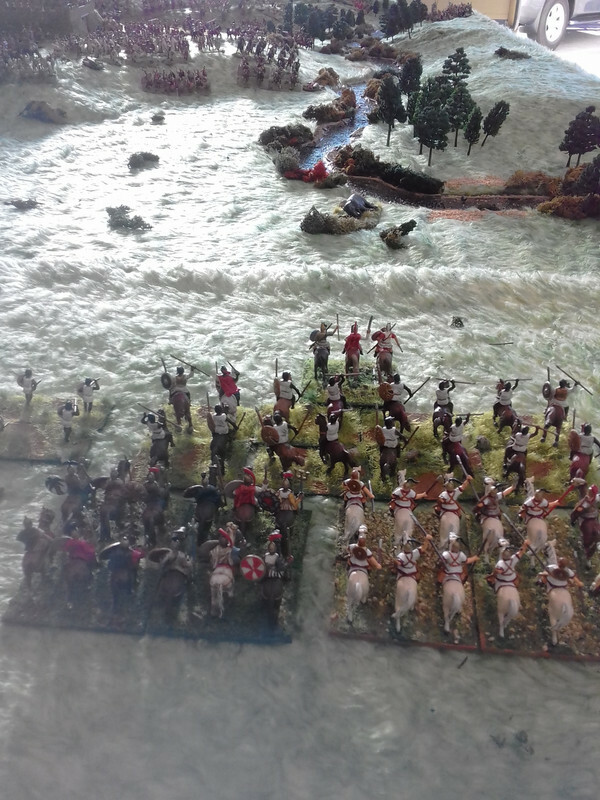 Hannibal's Carthaginians were at the southern end, separated by a mostly uncrossable river. His brother Hasdrubal's army was at the northern end. 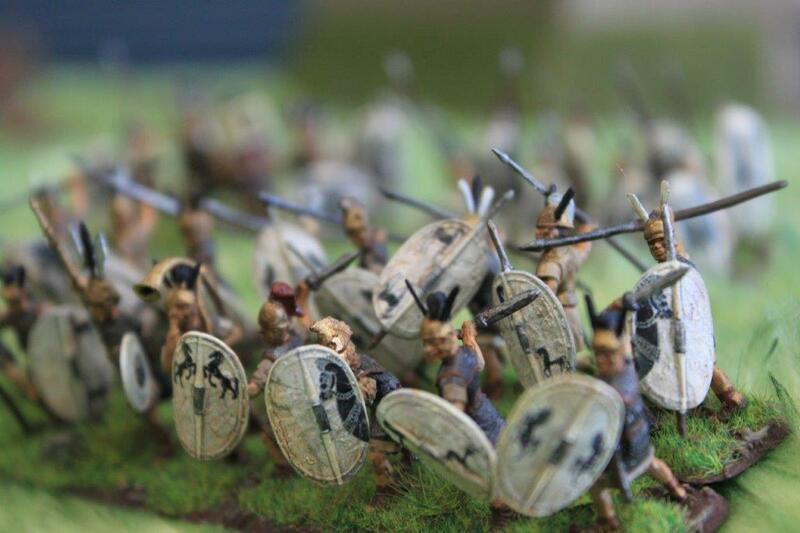 The goal was to either destroy the Romans or, at least, join their armies. 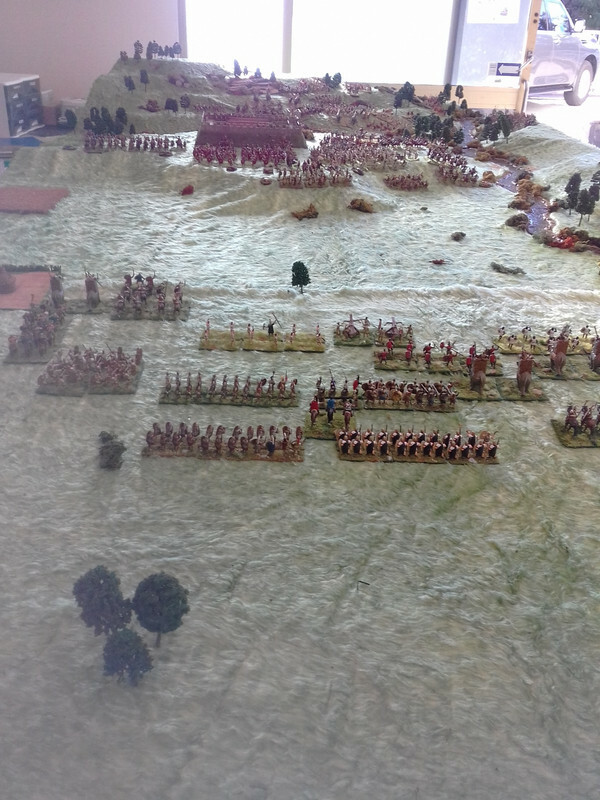 A marching fort occupied the heights, well defended. 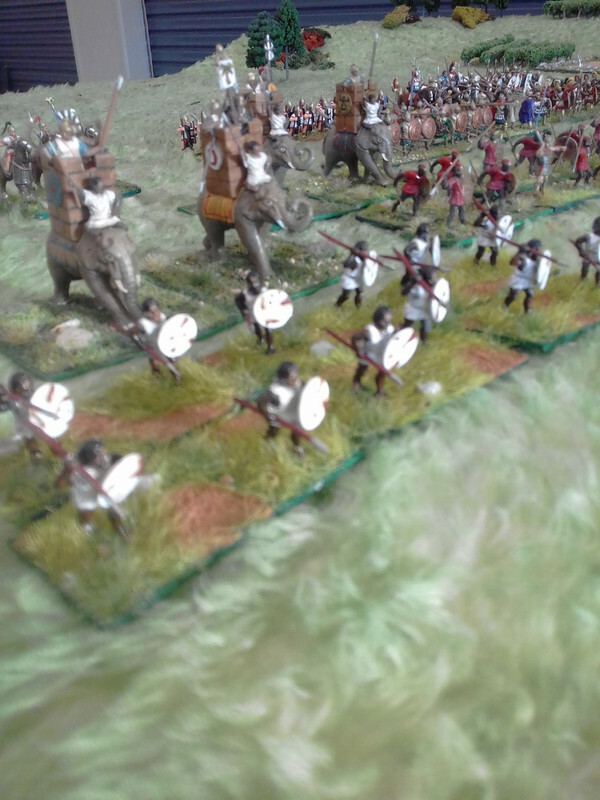 Hasdrubals cavalry moved forward, trying to tempt the Romans off their hill. The formidable elephants, screened by Numidian javelinmen, waited. 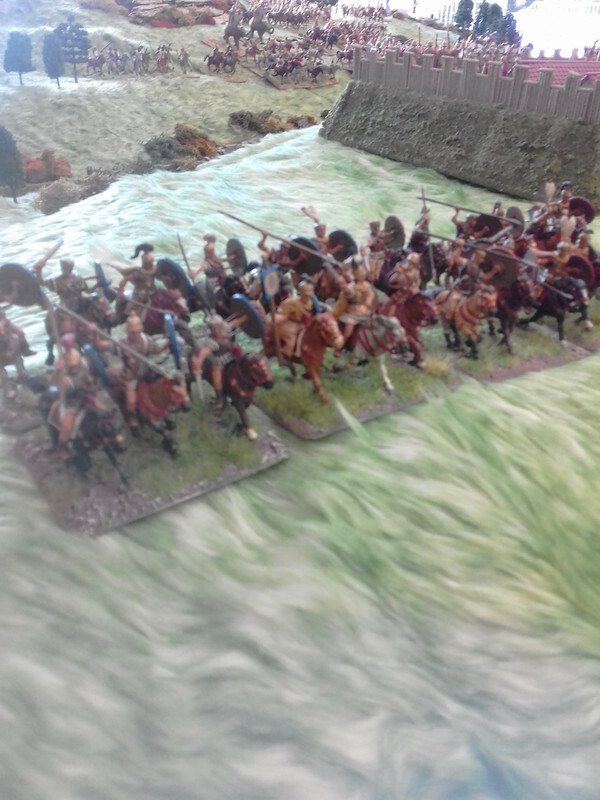 Hasdrubal's left flank reveal yet more cavalry & his centre with its Offensive Spears, poised. 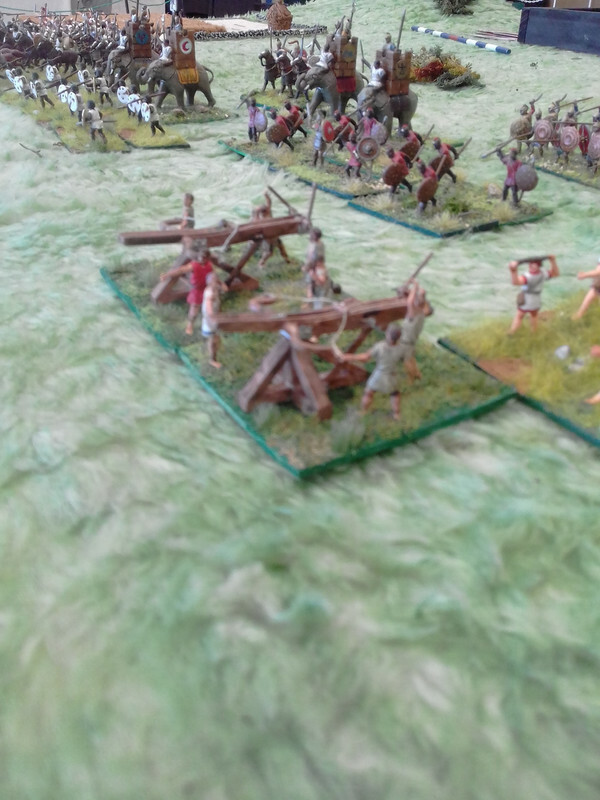 The cunningly placed ballistas (which actually took out a Roman Nellie) wait. 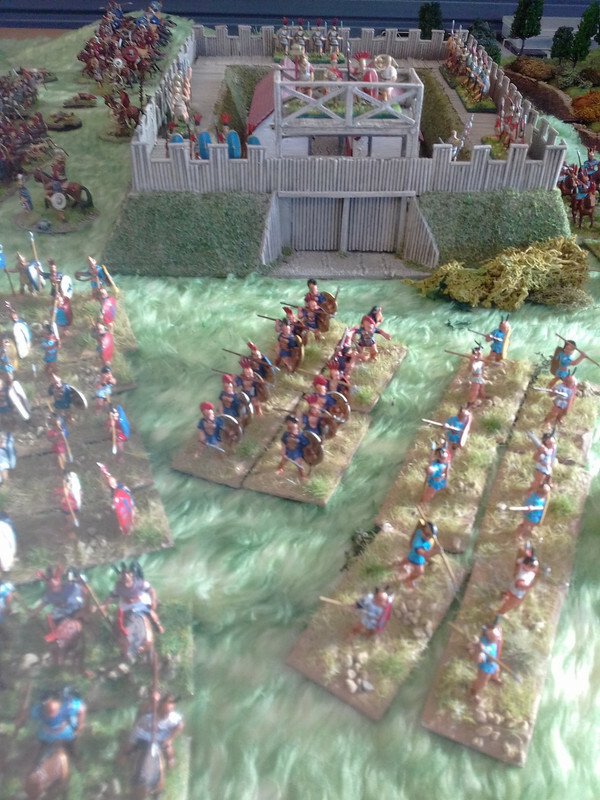 The game had some hard fighting at the fords & the beginning of a battle on the slopes but ultimately the Romans were outmanoeuvred & the Carthaginians won a Minor Victory with a the joining of the two brothers' armies. Very nice indeed. Lots going on and lots of troops. C M Dodson wrote: Very nice indeed. Lots going on and lots of troops. 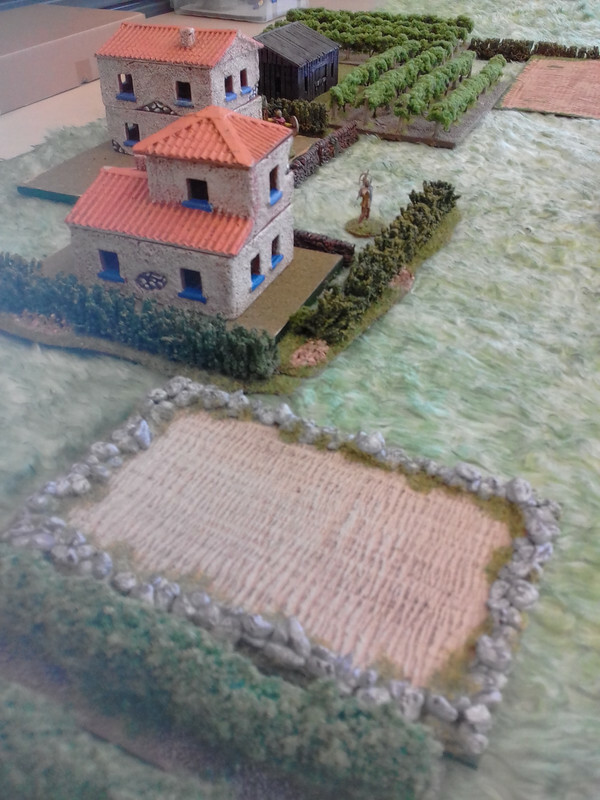 That looks like a great game with massive armies, a large table and most remarkable: lots of historic Roman buildings and landscaping like vineyards. Thank you. Any mere notice of my humble work by members of this august forum is appreciated. Looks wonderfull! Thanks for sharing! I really like that fort! The fort was absurdly easy to make: carved blue dense Styrofoam shaped with a "hot" knife. Palisade, gate & walkways are bamboo barbecue skewers. Flock & dry brush. Thank you for the how to build and the extra picture! 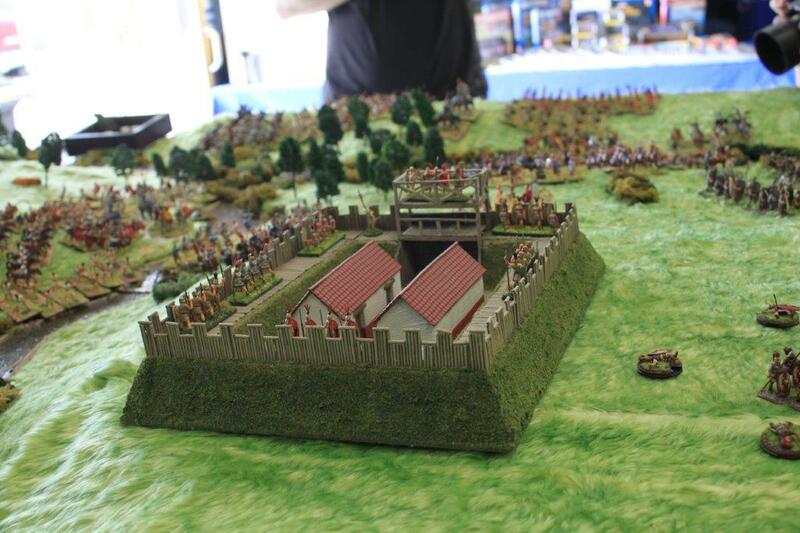 Just seen these pics on TMP of this very impressive game and the units all look great! Well, thank you for the nice comments. My two pals & I have lots of fun preparing for our annual mega game. It's a bonus that others like it as well. Could these corrected links be used to restore the original photos? I'm not sure if I've got this right. The second picture "A difficult river" has gone missing but the other links work for me. Thank you for your concern. I am currently in Budapest at the moment. We're returning to Amsterdam tomorrow and if I survive the crazy bike riders, we're off to Scotland to see the clan for a few weeks until we return to OZ. The problem is I only have access to a small device until I return. When I get back, I'll re- post the pictures using my desk top, external hard drive etc. Amsterdam and Budapest, that says "River Cruise" to me. Is that as good as it looks?